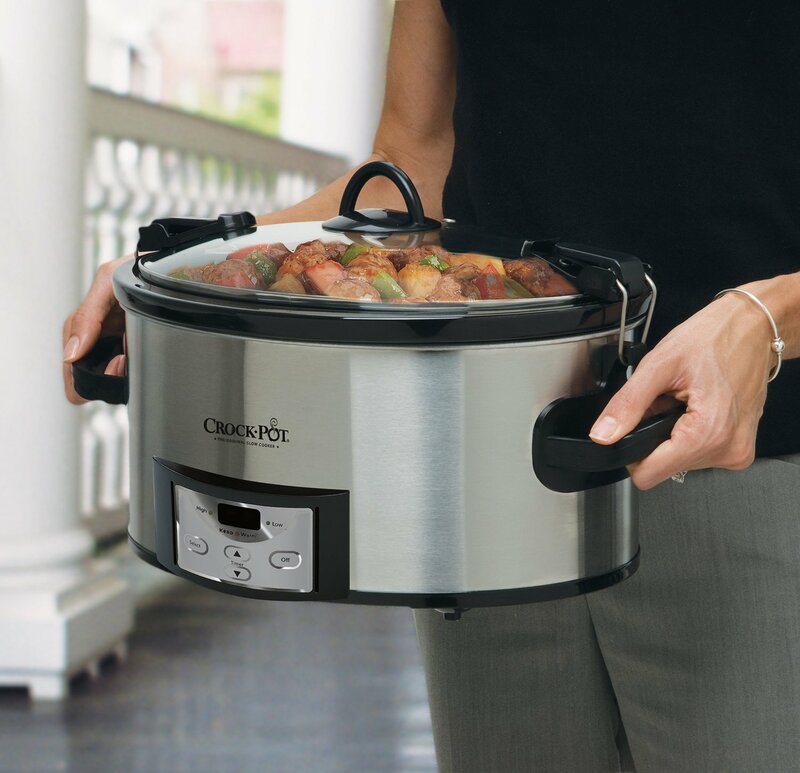 Where can you buy this Crock-Pot Slow Cooker? With it's easy to use, locking gasket seal, it will not spill your cooked meals while traveling. The large 6-quart capacity is perfect for a family of up to 7 people or you can use it to slow cook a 6 pounds roast. Want it to cook overnight? The Crock-pot SCCPVL610-S is a slow cooking machine that will make your life easier. Whether you're preparing some Paleo Slow cooked recipes, or create a delicious recipe for your whole family to enjoy, you'll love using the Crock-Pot SCCPVL610-S slow cooker. Get the best deals online if you purchase it today on Amazon. ​It's a great way to prepare slow cooked meals that can easily be taken on the road, it's mobile and travel friendly. It's a cook and carry thing. It's programmable, which means you can set it to turn off at your specified time and temperature. If you want to be precise and accurate when cooking, you'll need a cooker with a programmable cooker so that you won't need to check it every 5 minutes. Let's say you want to watch a full two hour movie, prepare your ingredients, set the programmable timer in the Crock-Pot SCCPVL610-S, and by the time you've finished watching your favorite movies, what you're cooking is done. Or maybe, you're in for a TV marathon and you're trying to catch up with the missed episodes of 'Narcos' on Netflix. When cooking slow cooked meals, it's easy to get messy in your kitchen, the locking lid allows you to easily make it less mess with it's lid gasket. Every part of the slow cooker can be quickly cleaned. The lid and the stoneware can be easily cleaned with your favorite dishwasher soap with a little bit of hot (safe to touch) soapy water. After cleaning, you can easily display the slow cooker in your kitchen countertop and rest assured that it will be a conversation starter because of it's elegant design. 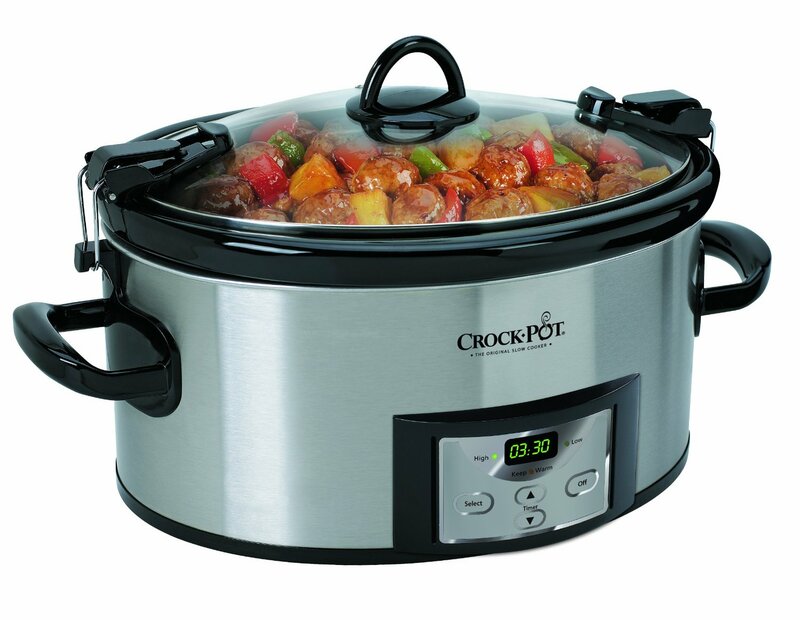 But what's the best about the Crock-Pot SCCPVL610-S is that's it's entirely mobile, easy to use, and transportable. It's designed to be quickly transported, perfect for home parties and picnics outdoors. You can easily, cook, carry and enjoy your slow cooked meals with this machine. Are you searching for delicious slow-cooked recipes that are Paleo? I've written an article on this: 34 delicious Paleo Crock Pot Recipes. Don't forget to check it out. Though this Crock-Pot is, it's still not perfect (no slow cooker is perfect). One of the things that I didn't like with this slow cooker is that it's not big enough for a turkey. I guess a whole,smaller chicken will be able to fit, but a big whole chicken or a turkey won't. Ok, for those of you who are experiencing power interruptions in your area, you'll need to reset the timer when the power is lost during cooking. Lost power resets, the timer, settings, etc. Most people who will love using this Crock-Pot slow cooker are those who would like to have some sort of set-and-forget slow cooker. If you're thinking of cooking something with more control and settings like an oven, don't use a slow cooker. A slow cooker's biggest advantage is something that you'll prepare in the morning, and by the time you came back for it in the afternoon, it's done. This Crock-Pot slow cooker even has a "warm" setting that won't leave your food cold, but not too hot enough that it 'overcooks' your meals. Like most new cooking appliances, sometimes because of the way it's manufactured a certain 'smell' can be experienced because of new materials being used for the very first time. Though you'll smell this at the very first few times of using the slow cooker, it won't be there for a very long time. With all of these benefits and features of using the Crock-Pot SCCPVL610-S you might thing that it'll cost you $100's to be able to purchase this slow cooker. 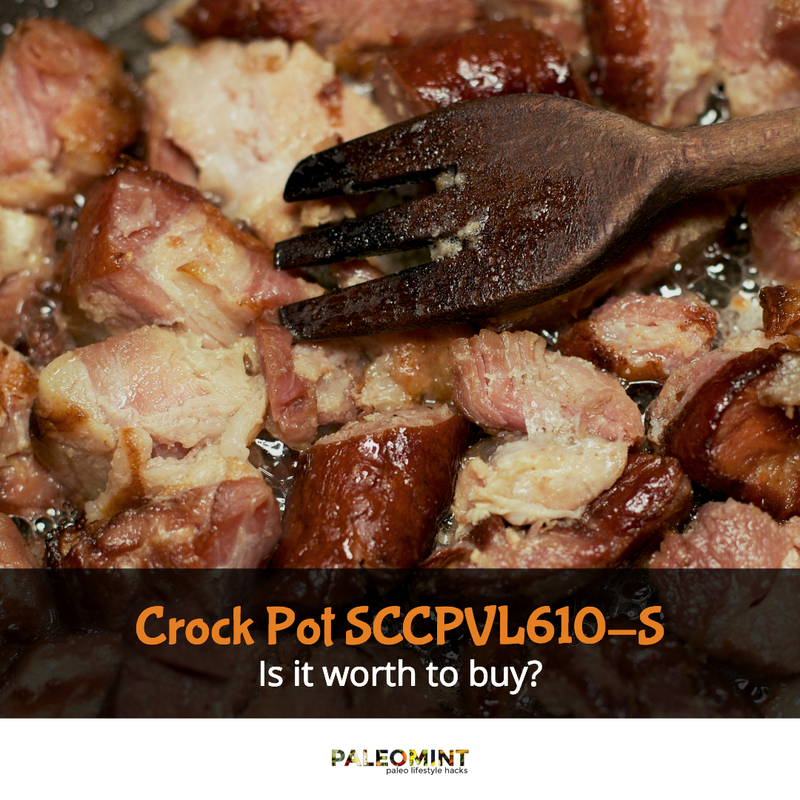 You can grab your very own Crock-Pot SCCPVL610-S on Amazon. You'll find great deals and best prices on this slow cooker. You'll also get excellent support on Amazon's service. Click here to get your Crock-Pot SCCPVL610-S today. PrevPreviousPhilips XL Air Fryer Review – Is It Worth to Buy?